Ten students from the California Academy of Mathematics and Science participated in the recent 2014 San Bernardino Forestry Challenge at Camp Arbolado near Angelus Oaks, Calif. The CAMS students were among 59 high schoolers from six schools in southern and central California. Students collected field data and interacted with natural resource professionals, and then recommended possible fuel reduction activities to prevent forest fires. Students also completed field training, followed by a test to assess their forestry knowledge and data collecting skills. “You cannot get this type of learning from a textbook,” said CAMS teacher Renee Brown. 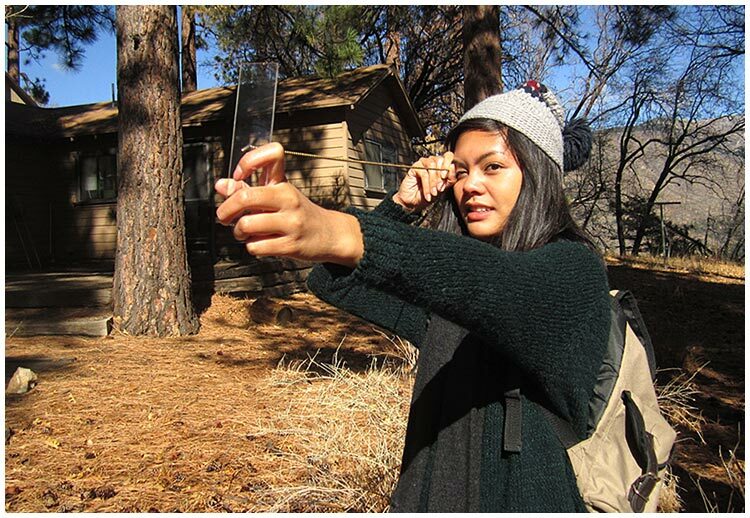 FORESTRY CHALLENGE – California Academy of Mathematics and Science student Valeree Catangay uses an angle gauge to determine forest density, one of the many skills learned at the 2014 San Bernardino Forestry Challenge.